Common interest and common topic which family can talk about makes family much happier! Your order generate common excitement your family member can share. Kanji-Name will bring your family more closer than ever. 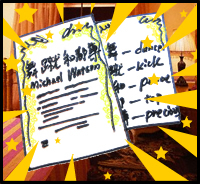 If you have a Kanji-Name through our global common service, all we can share common interest. The globe becomes one big family! Do you know what it mean ? So Nice!! Our family name has mean of precious!! That's right! Courtney makes us happy ! !